If you are planning for Test Series, it means you have prepared well for the IAS. You have read newspapers like The Hindu and Indian Express almost religiously. You have gone through the online and offline content. Now, this is where test series come into the picture. Apart from raising your confidence level, a logically designed GS test series would help you if there is any scope for improvement left in your preparation for the exam. A carefully chosen online/offline test series for IAS and taking it frequently would help to face the exam with greater ease. At Elite IAS, we offer thoroughly extensively test series so that our students’ skills are sharpened considerably before they appear for the IAS exam. We provide GS Prelims Test Series and GS Mains Test Series. The GS Mains Test Series is available in English and Hindi medium. Besides, there is an Essay Test Series, which is available both for the English as well as Hindi medium students. We also offer Sociology Optional Test Series and History Optional Test Series, etc. Test Series online and offline available. The Test Series for IAS provided by us offers detailed analytical descriptions for the answers. The mock tests that the Test Series comprises may be downloaded and/or taken online as well. The nature and type of questions are strict as per the UPSC. Value-added materials are provided as and when required in order to equip the students better to prepare for the IAS exam. Besides, at Elite IAS, we are fully concerned that our students must be at absolute ease while they answer the paper during the exam. 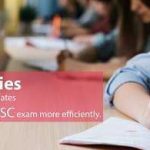 The flexibility of the Test Series modules helps aspirants to accommodate with the social environment and focus on their preparation for the Civil Services Exam as there are students coming to us from all walks of life.